For the longest time i thought strawberries were my absolute favourite berries, and maybe raspberries after that. 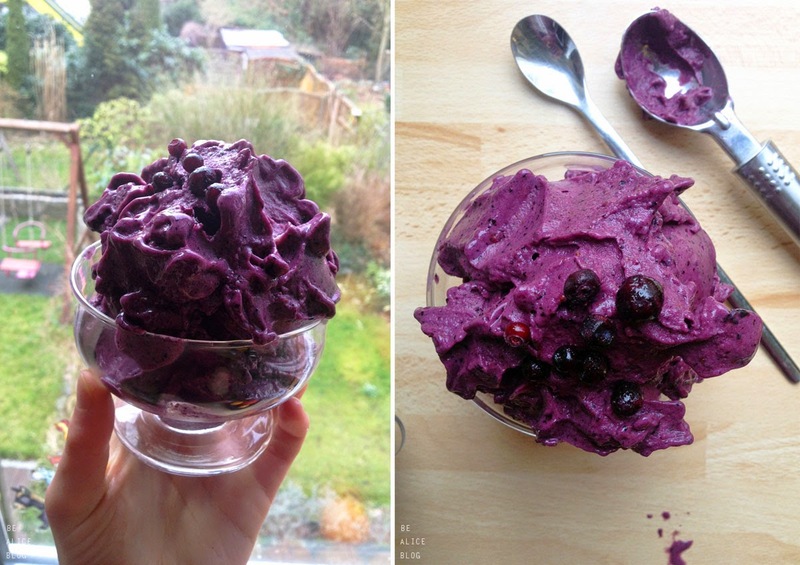 Turns out, blueberries are pretty great too! 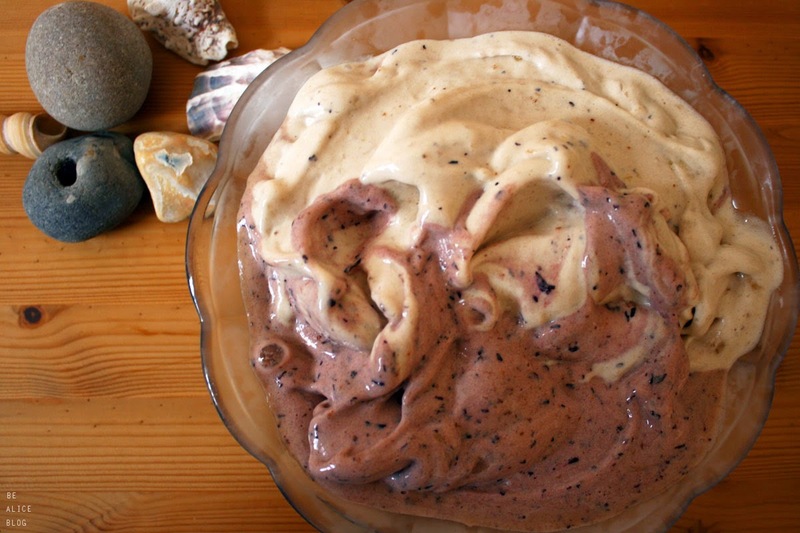 I can't believe it took me so long to make some blueberry ice cream (i mean, i have made stracciatella, pina colada and toffee ice cream with cookie dough, for God's sake! 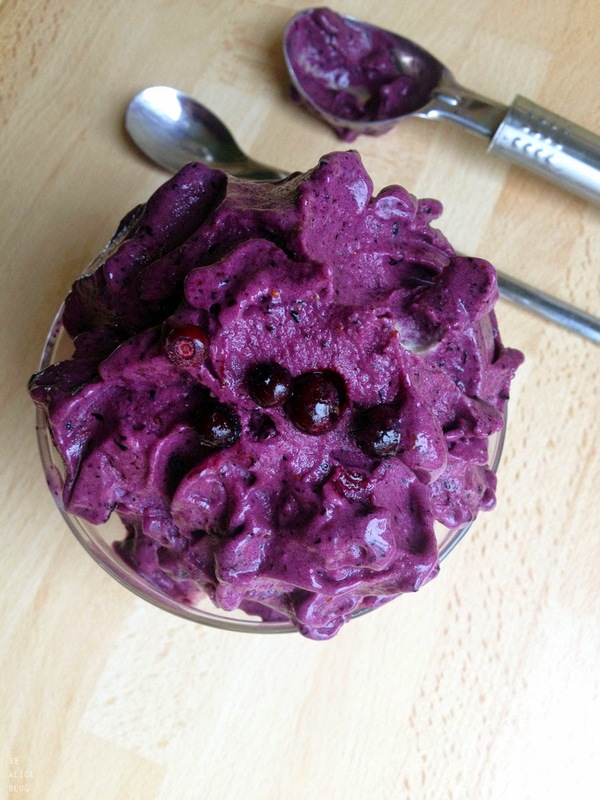 ), but now that i have discovered the beauty of raw vegan Blueberry Ice Cream, my world has gained another flavour. If you're using fresh blueberries as i am, place them into the blender first. 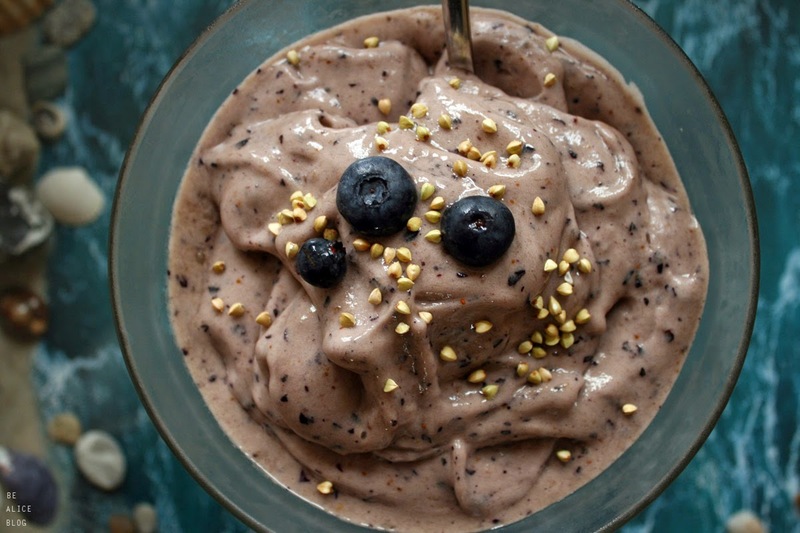 Pulse, then add your frozen banana pieces to the blender and blend until it forms a creamy, but slightly stiff mass. You can also add some sweetener whilst blending. If you use fresh blueberries instead of frozen ones, the colour won't be as strong and purple, but it will be equally delicious! And a bit further down you can admire my beautiful Blueberry Banana Swirl that i had for dinner yesterday! i think it was 5 or 6 frozen nanas + 1 cup bluebs. See below.